As an artist, Shawn McCann is one who loves to explore the relationship of art, space, and interaction. Having graduated the Minneapolis College of Art and Design with a BFA, Shawn has grown into a multi-media, multi-disciplinary artist whose work explores color, texture, form, and content. 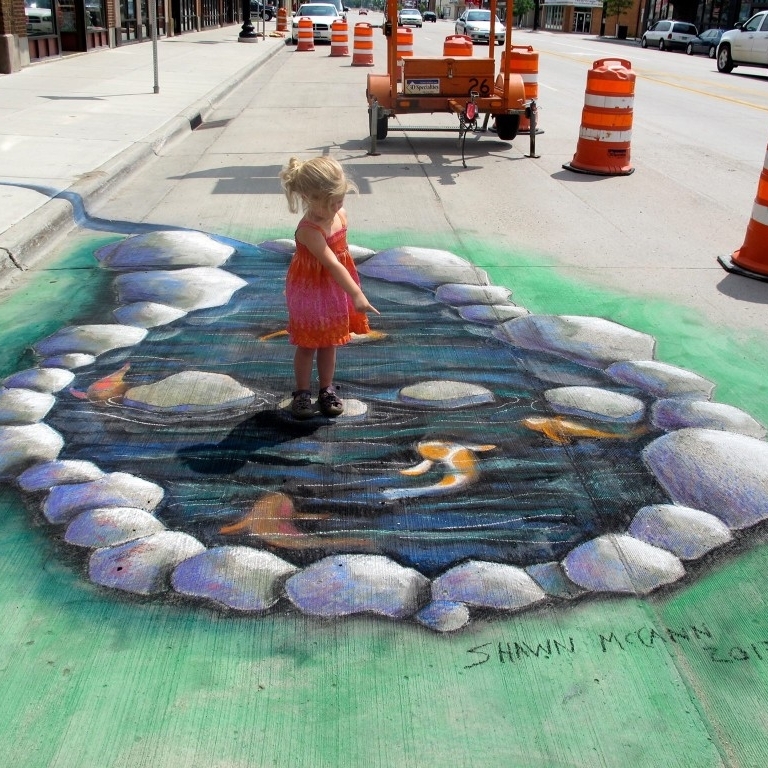 This approach has led to the many areas in which Shawn’s work has encompassed including; street painting, murals, fine art, children’s books, installation art, temporary and permanent art and commercial illustration. He has been featured at numerous street painting festivals has worked on projects such as Exhibition sized pieces and corporate clients. His work has won numerous awards, been a NEA grant recipient, and is held in private and public collections, and has also been featured twice at the LA Times Festival of Books as a featured illustrator. This year, Shawn was one of the few American artists chosen to participate in the Dubai Canvas. One of the most prestigious street art festivals in the world. Shawn is also currently the President of the Children’s Book Illustrators Guild of Minnesota, member of the Society of Children’s Book Writer’s and Illustrators, and past vice president and member of the Minneapolis College of Art and Designs Alumni Board of Directors. He is also of course, one of Chalkfest's beloved co-founders! For Chalkfest 2018, Shawn will be teaming up with other Chalkfest artists Jessica Barnd, Julie Jilek, and Sharyn Chan to form the chalking group Pandamonium!